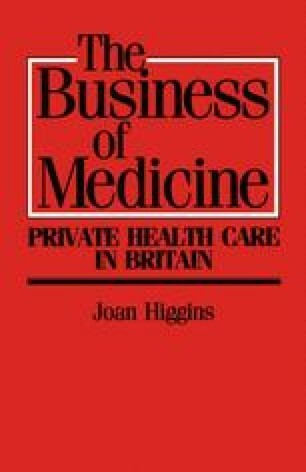 Each of the issues relating to private medicine which had caused dissension in the 1940s continued to be the subject of controversy right through to the 1970s even if they were not always prominent on the political agenda. Two of them, however, assumed particular significance. First, there was the continuing debate about health service charges and their place in the predominantly ‘free’ and comprehensive health service. Second, the dispute about pay beds, which had been simmering since the 1920s, finally came to the boil and provoked conflict, bitterness and strike action. This chapter focuses especially upon these two issues but begins with a review of developments in private medicine outside the NHS. It covers the period from 1948 to 1978.